"It is still 'us', the original Ecco the Dolphin team!" Ed Annunziata's career spans all the way back to the early '90s, and includes titles such as Spider-Man, Chakan: The Forever Man, Cyborg Justice and Kolibri, all games that appeared on Sega hardware. However, his name is most closely associated with the groundbreaking Ecco the Dolphin, a 1992 Genesis / Mega Drive release which established a best-selling franchise. Annunziata's connection with Ecco could be seen as both a blessing and a curse, because it has arguably placed the designer in the shadow of his most famous creation, despite the fact that he has been involved with many, many notable games since then. Annunziata is currently hard at work on Space War Arena, a Switch game which hits the eShop on February 14th. Keen to know more, we sat down for a chat with this legendary developer. Nintendo Life: Before we get onto Space War Arena, it's worth touching upon your amazing career. What have been the highlights for you personally? Ed Annunziata: I've been making games for a very long time, so there's been a ton of highlights. I'd say every single release of all the games I've worked on have all been highlights! Just getting the game into the endzone is always a victory. Sticking with the football analogy, it would feel so good I would totally do a touchdown dance on every game shipped! Doing voice over for Three Dirty Dwarves (Saturn). The whole team played roles, including the Hungarian-speaking Orcs! I never laughed so hard in my life. When I met Micheal Jackson because he was friends with Tom Kalinske (President of Sega at the time) and was a fan of Ecco! I was showing him an early version of Tides of Time while we both sat on a piano bench. As I played the game, Michael started singing to the music of whatever level I was playing. I got goosebumps. When we finished Tiny Tank (PS1) the team performed the song, "Up your Arsenal" which was just one of the songs on Tiny Tank's crazy soundtrack. I remember the moment with all of us in the studio singing our guts out. It was awesome! You've created Space War Arena with a small team; have you found that your fame with other titles has helped gain interest in the game? What inspired Space War Arena, and what makes it unique in your opinion? Little spaceships! When I was a kid the video games that appealed to me had little ships, like Defender, or Nolan Bushnell's Computer Space. And ultimately the game called Spacewar, the very first video game ever created in 1962 (the year I was born). What was interesting about Spacewar is it was it started as player vs. player from the beginning. I had a little ship, you had a little ship and we went at it until only one remained. It was awesome. Space War Arena is a modern take on a real-time wargame with spaceships. 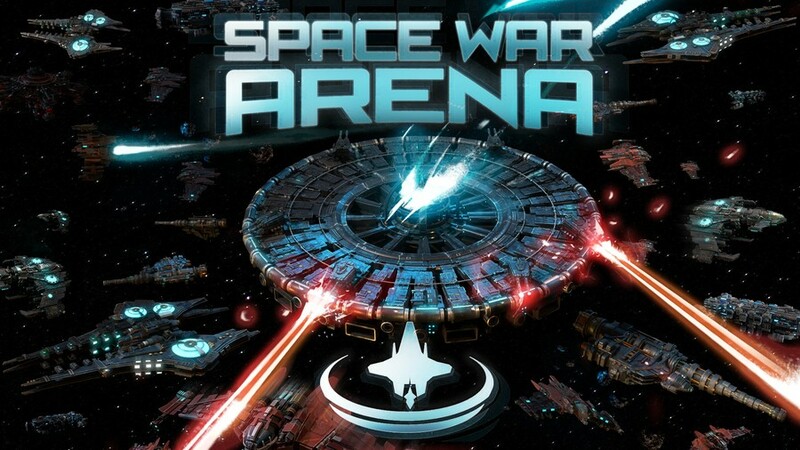 On a very fundamental level, Space War Arena was designed as a two-player, head-to-head game. Like a real-time chess game, only the pieces are little ships that have different parameters and behaviours. A natural component of this kind of game is its sci-fi theme; AI is emphasized. In the single-player mode, you battle against different flavours of AI. Even the little spaceships have their own unique AIs that drive them. As you observe how these machines think, you get better at playing this game. While designing all the AIs for the units, we discovered that there is infinite space for strategies and tactics. What element of the game do you think players will find most surprising? How solidly fun it is. One small indication of this is when you start a battle, it is very difficult to stop playing until someone wins. What kind of modes will the game have, in terms of solo, local and online? The premier mode is head-to-head, local. We don't support online yet, but it's coming. The game includes a story-based campaign mode where victories unlock new units. Also, 6 different AIs to battle are provided to level-up units you already own. What doesn't kill you makes you stronger! How are you making use of the console's unique features, such as the Joy-Con, desktop mode, and the touchscreen? I love the haptics on the Joy-Con. Space War Arena is a very explosive game! The visual effects are great for seeing the explosions, but the haptics let you feel them; very satisfying. We support the touchscreen as much as possible. 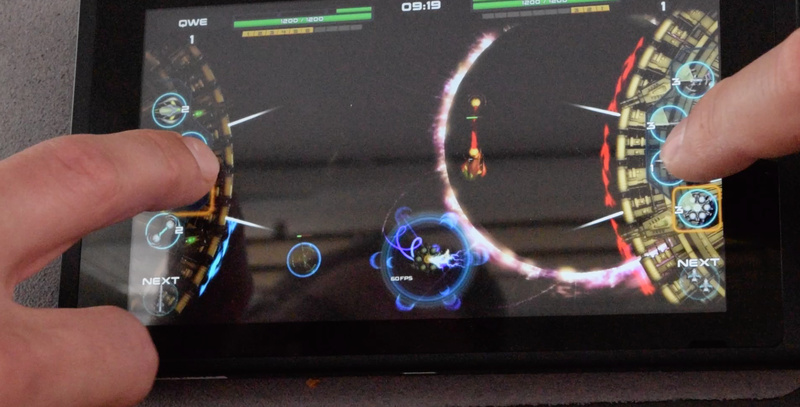 We even support head-to-head touchscreen play on a single system, which is surprisingly fun! Space War Arena looks like as great new series, but do you ever feel like returning to the classics of your past? One of the OCD characteristics of my personality is I never give up! When I was trying to convince Sega about Ecco the Dolphin it took me years to get them to bite. There are some challenges I need to overcome but eventually, there will be a new Ecco! Also, I am trying to find a way to port our Saturn game, Three Dirty Dwarves, to the Switch. I think that's an excellent game for the platform. Also, if I have it my way, modern versions of Mr. Bones (Saturn) and Tiny Tank (PS1) are heading over to the Switch someday! You tried to crowdfund a successor to Ecco a few years back; what happened with that? Ugh, I knew you were going to ask me this! Ok, the Big Blue failed as a crowdfunded project, not for only one reason. I know I did not do it well. I still very strongly believe in the story and the mechanics but it really can't be a spiritual successor to Ecco, it has to be Ecco! One thing I can say is in the future, people are playing this game. I never give up! I never completed Ecco but it always intrigued me. Maybe Sega will eventually comply because gamers want more classic era Sega games and hopefully Streets Of Rage 4 will continue to display that. I will never forget beating Ecco 1 and 2; it felt like the gaming equivalent of climbing Mt. Everest. I loved those games so much. On a side note: the Sega CD versions of those games have the some of the most gorgeous songs on their soundtracks (game or film) I have ever heard. I still listen to them occasionally. @Guitar_bard Amen to that. Spencer Nilsen is an amazing composer. I really liked Defenders of the future, too. It wasn't the first 2, but for the time it was a decent 3d follow up. I never knew this footage existed! Thank you! I never got around to playing Ecco the Dolphin in the golden age of gaming. One of these days, perhaps I will take a trip to the past and give it a whirl. Wow! I didn't know they were still around. @Elvie. That would make my day. I love that series, so unique, atmospheric, gorgeous...and hard. Holy crap were those games hard. HOLY CRAP GIVE ME MR. BONES ON MY SWITCH sorry I'll stop holding the shift key down while I type. I'm going to buy this game specifically because he worked on that game, which is one my all-time favorites. Also, I totally forgot about Three Dirty Dwarves... that game was pretty fantastic. Also also, he worked on Jurassic Park for Sega CD, which overall wasn't all that great of a game, but because I was a die-hard Jurassic Park and Sega fan as a kid I played the crap out of it and it's permanently etched into my memories. Which is weird because I only ever played the Jurassic Park games for Genesis (not to mention the SNES game, or the Lost World game for Saturn which I still own) a tiny bit. @Guitar_bard I have a hard time playing the Ecco games on various compilations of classic Sega games because the Sega CD music was SO FREAKING GOOD. Mr. Bones was one of my favorites on Saturn! Such a ridiculously quirky experience with an excellent soundtrack. Speaking of which, if Ed’s serious about getting this game on Switch (PLEASE! ), he’ll have to somehow secure the rights to use Ronnie Montrose’s music. Not to mention working out a deal with SEGA and Rockstar. Sounds like an expensive licensing nightmare just to port/remaster such a niche game to modern platforms, but here’s hoping this dude can manage to do it. I’ll certainly be there day one! @Baladium I'm close with Ronnie's wife and SEGA would not charge much for the license. Not much of a nightmare compared to porting a game that was written on Hitachi CPUs that were originally for rice cookers. But anyways, I hope your new game does well for you guys, and thanks for the reply.